The popular note-taking app slims down and speeds up to make you more productive. In its quest to make you more organized and productive, popular note-taking app Evernote grew a bit bloated. The app’s speed, or lack thereof, is a common thread in user reviews. 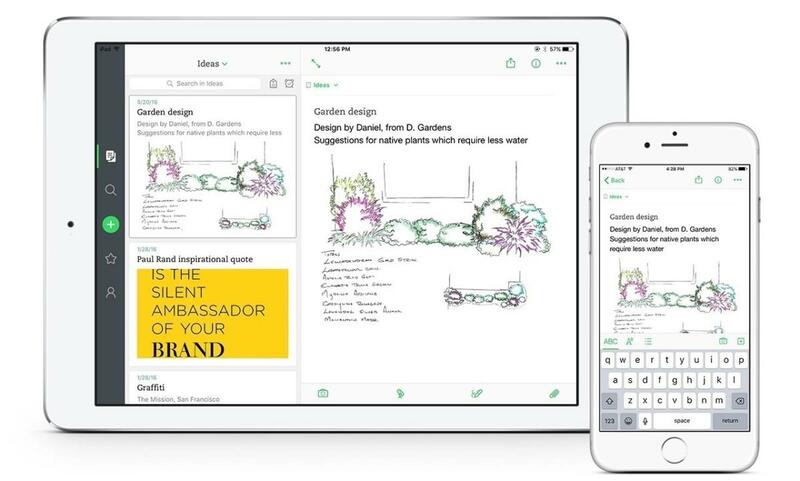 Evernote just released a redesigned iOS app that aims to address those complaints, plus make your notes a little easier on the eyes. The first thing you’ll notice when you launch Evernote version 8.0 is the new home screen, which picks up right where you left off with your most recent notes at the ready. The note preview allows you to see which notes have a lot of content and which contain just text. Then there’s the new navigation bar pinned to the bottom of the app, where you can jump into all notes, search, see shortcuts, or view your account. A green plus icon in the center of that new menu bar lets you immediately start a new note, and a long press on that icon lets you swipe up to capture an audio note, a photo, or add a reminder. Just long press on the account icon to switch between your business account and your personal one. Your notebook collections will now live at the top of the app screen, and you can filter them by the tags you use to identify your notes. Evernote’s robust search function has become faster and more powerful in this version, Fortin said. And it’s the back-end improvements that might matter more than the design (which is a vast improvement over Evernote’s current look). Evernote’s Chief Product Officer Eric Wrobel told me the entire app was rewritten on the back-end for noticeable speed increases across the board, including faster syncing. I didn’t go hands-on with the Evernote beta, but in a demo I saw, the app seemed much more responsive than the dot-release of Evernote 7.0 I’m currently using. 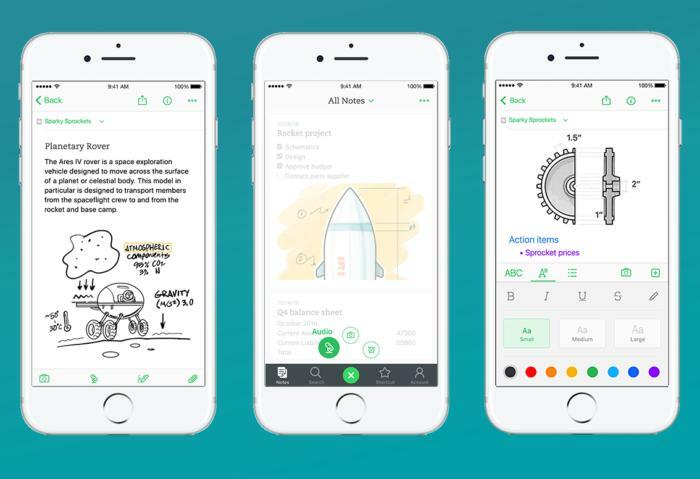 Evernote was once the only option for note-takers managing everything from simple tasks to complex projects, but now the popular app has some serious competition. Microsoft’s OneNote and Google Keep are both popular options for integration with those companies’ other services. Apple’s built-in Notes app has become more useful with new features, and lightweight apps like Simplenote have made note-taking easier to use as Evernote has added layer upon layer of features. Price is also a factor, though Evernote offers quite a bit for free. This release proves Evernote is paying attention to what its users want: a super-fast, feature-rich note-taking app with an easy-to-use design and cross-platform support. And, as the company recently learned, privacy is hugely important. 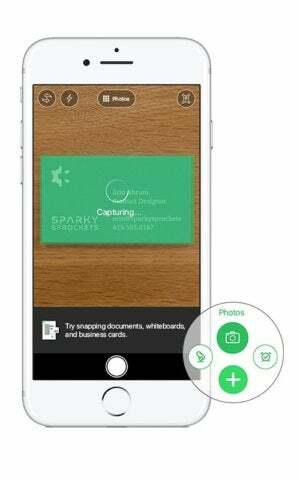 Evernote 8.0 starts rolling out for iOS users on Tuesday. Stay tuned for our full review.